I have just posted a link to my feature article (to the left of this column) in Film Journal International about HRWFF in New York City. It includes interviews with four outstanding documentary filmmakers: Harry Freeland, Nagieb Khaja, Rokhsareh Ghaem Maghami and Raoul Peck. Freeland’s film, In the Shadow of the Sun, chronicles the struggle of albino men and women in several southern African countries where they are subject to hate crimes. Albinos suffer dismemberment, and are hunted and killed as a result of the claims of witch doctors that their body parts can cure disease. Freeland’s documentary focuses on a charismatic albino activist, and a young albino man who finally escapes the “shadows” to realize his dream of completing his education. In my interview with the British filmmaker, he discusses the genesis of his documentary, and his upcoming plans for screening the movie in the Tanzanian bush, in villages where many albinos were murdered. Nagieb Khaja, a Danish-Afghani filmmaker, spoke with me about his documentary, My Afghanistan: Life in the Forbidden Zone, from the mountains of war-torn Syria where he was shooting footage for a new project. 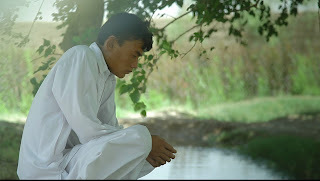 Khaja recruited residents of Helmand Province in Afghanistan, gave them cameras, and asked them to film their everyday existence. He then skillfully edited the resulting footage to produce a documentary that will alter every viewer’s preconceived notions of that country and its people. In our interview, Khaja speaks about the courage of his co-filmmakers who often risked their lives simply being seen with him.